Best-selling novelist Ann Patchett’s second, "strikingly original"* novel tells the moving story of John Nickel, an ex–jazz musician who wanted nothing more than to be a good father. When his lover takes away his son, he’s left only with his Beale Street bar. He hires a young waitress named Fay Taft, who brings with her a desperate, dangerous brother, Carl, and the possibility of new intimacy. Nickel finds himself consumed with Fay and Carl’s dead father— Taft—obsessing over and reconstructing the life of a man he never met. 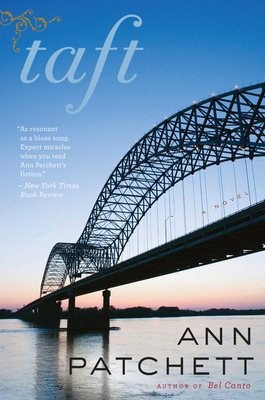 Taft confirms Ann Patchett’s standing as one of the most gifted writers of her generation and reminds us of our deepest instincts to protect the people we love.